All You Need to Know About The Border Collie Beagle Mix! Are you looking for a new doggy friend? A dog that’s lovely, enthusiastic, friendly, and playful? Well, then I feel that the Border Collie Beagle Mix is just the right kind of dog for you! Now, I’m sure that you can tell by the name that this dog has a Border Collie and a Beagle for its parents. The thing I love the most about mixed breed dogs is that they’ve got the best of both worlds! If you are wondering how this mix acts and behaves, try combining the best traits from a herd and a hound dog! I feel that doing your research before adding a new furry member to your family is a very important thing, after all, it’s a long term commitment, right!? So, let’s just get into it! If Looks Could Kill…The Killer Looks! 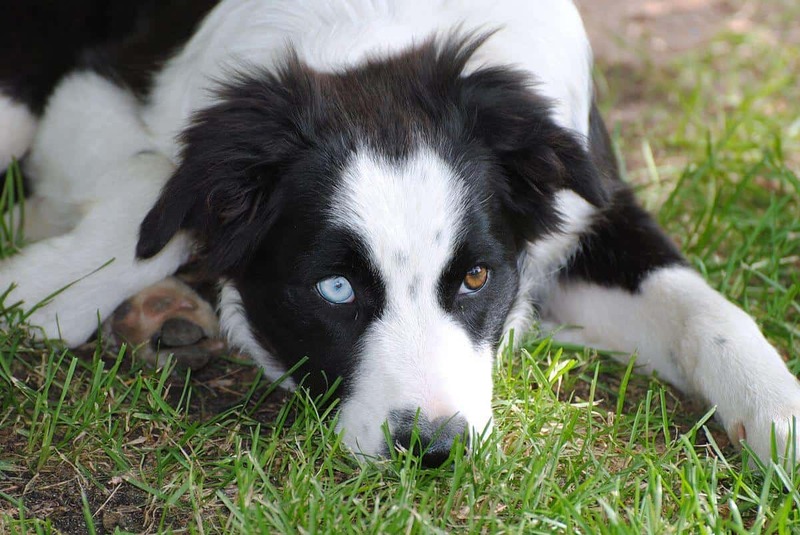 Well, this is a mixed breed dog, so we’ll have to go all the way back to its parentage to determine how your beagle border collie mix puppy would look like as an adult! It’s not as complicated as it sounds! Let’s talk about the colors first, shall we? 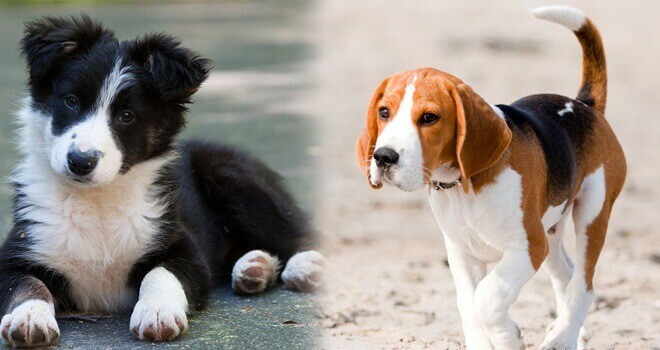 The Border Collie and Beagle mix come in a wide variety of coloring, like, black, white, brown, golden and tricolor. This is obviously is the coloring of its parents. It’s a medium-built dog and can also live in apartments, but a big house is always a plus! ● Look At These Adorable Border Collie and Beagle Mix Puppies! I love puppies! Do you? Well, here’s a video of some really cute border beagle puppies. I thought of showing this to you to better explain the looks and adorable-ness part of the dog! ● How Soft Is It!? I don’t know about you, but I love to pet all kinds of dogs! And I love it even more when the doggy’s fur is soft like cotton! Let’s talk about the coat, shall we? Well, with the border collie mix with beagle, you get quite a few types of coats, so it’s all based on the dominant traits that your puppy inherits. Generally, the coats can be harsh and rough, soft, shiny, soft or even silky! ● Will I Need To Invest In a Vacuum Cleaner? And What About Grooming Fees? You won’t understand the problem of shedding unless you’re a pet owner! In a nutshell, it’s like hair everywhere! But, I’ve got great news! The Border Collie Beagle Mix only sheds moderately when the season changes! So, you don’t need to buy a vacuum cleaner or a lint roller after all! I’d like to tell you that this doggy needs moderate maintenance! This means that you only need to take your doggy friend to the groomers once a month or at most twice a month. ● How to Become a Champion in Bath Time! Even though this dog is low maintenance, you still need to give your friend regular baths! After all, dogs are dogs…and dogs love to get dirty! Mine just loves to play in the mud like a pig. So, it’s important to give your dog regular baths with a good shampoo and conditioner. I recommend the Earthbath All Natural Pet Shampoo, OxGord Natural Oatmeal Dog-Shampoo And Conditioner and the Particular Paws Oatmeal Shampoo for Dogs. It’s What’s On The Inside That Counts: The Personality! I feel that the personality of your dog should match your needs and your lifestyle so that you can both be happy. Let’s talk about the border collie beagle mix traits, shall we? This dog is like a furry ball of energy! The dog loves long walks, dog parks and all kinds of other outdoor activities. So, you do need to keep the border collie and beagle mix puppies well fed! The border beagle also loves to play! You know what that means, right!? Yes! Dog toys! Now, keep in mind that their teeth can be very sharp so, you should use durable toys. I personally recommend the Otterly Pets Puppy Dog Pet Rope Toys and the KONG Cozies Dog Toy. This is the kind of dog who loves getting pet by your friends, and who loves attention in general. The border collie beagle mix temperament of liveliness is something that dogs like the German Shepherd lack. When you’re in a room with a Border Beagle, you’ll get positive and happy vibes from the doggy! I love lively and happy dogs! These dogs are as sharp as knives! Border Beagles are easy to train and they know what’s going on. In fact, one of my friends has a BB puppy and within simply a week, that little guy was toilet trained! But, the downside is that you can’t say the word ‘walk’ without exciting you the dog! The thing that I love the most about dogs is that they give you unconditional love. 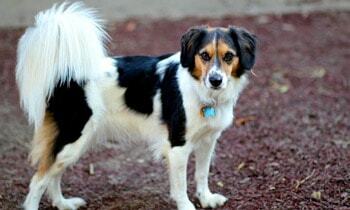 The Border Collie Beagle mix would love you more that it loves itself and will try and please you in every way! You just need to give them some of your time and attention. The Border Beagle is a social dog who love to play with other humans and animals! They can be a little shy at first, especially with other male dogs, but love to play and interact with other pets. They’re also amazing with children! How Long Do Border Collie Beagle Mixes Live For? I know it’s a sad thing to talk about, especially when you’re thinking of getting a new puppy, but, it’s something that you need to know. The minimum life expectancy of the Border Beagle is 12 years and the maximum life expectancy is 15 years. But, there’s another thing you should know. It’s the quality of your pet’s life that matters. So, make sure that you keep your doggy happy, healthy and spend as much time as you can with your furry friend. Let’s take this down a notch, shall we? What Should I Feed The Doggy!? If you know dogs, you know about their insatiable appetite for food! When they’re eating, then it’s all business. Mine growls at me if I pet him when he’s having his meal. The Border Collie Beagle mix is an active and medium-sized dog and thus, needs food that suits its body size and needs. Let’s talk about some good foods for the border beagle! I recommend dog feed made especially for the Beagle, like the Royal Canin Beagle Adult dry dog food or Beneful Adult Dry Dog Food. And just like you should be checking what food your dog should eat, be sure to understand foods which might be dangerous to your dog’s health. The Border Collie Beagle Mix is a mixed breed dog which is a mix between a hound and a herd dog. They come in different colors like golden, black, white, brown etc. and their coat can be harsh and coarse, or soft and shiny. ● Playful and Energetic: They can play all day and love long walks! ● Socialites: Love to make friends and are amazing with kids! Oh my god,…..I think I finally found out what my dog is! This fits him to a T!